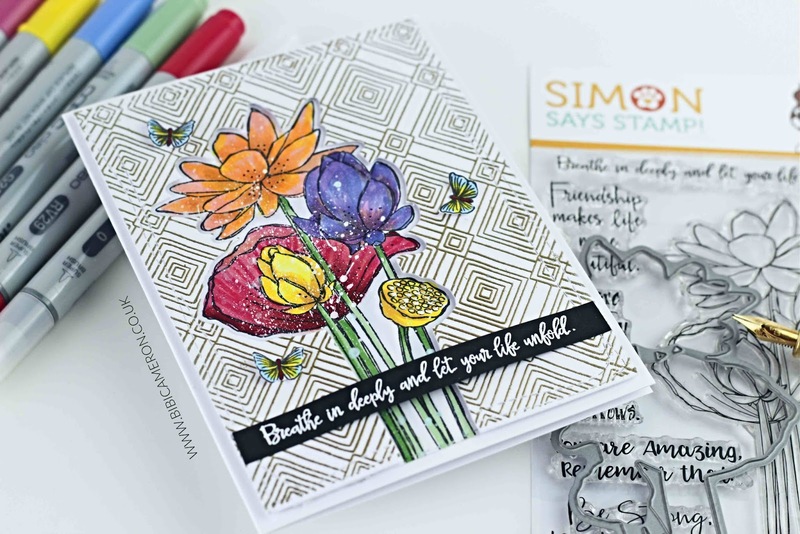 Hello everyone, Simon Says Stamp have released new wonderful products and today I'm sharing a C6 card using Sketch Lotus flowers stamp set and coordinating die. Explore the whole release here! For this card, I also used Deco Diamonds Background stamp and the tiny butterflies are from the new Plantiful Puns stamp set. 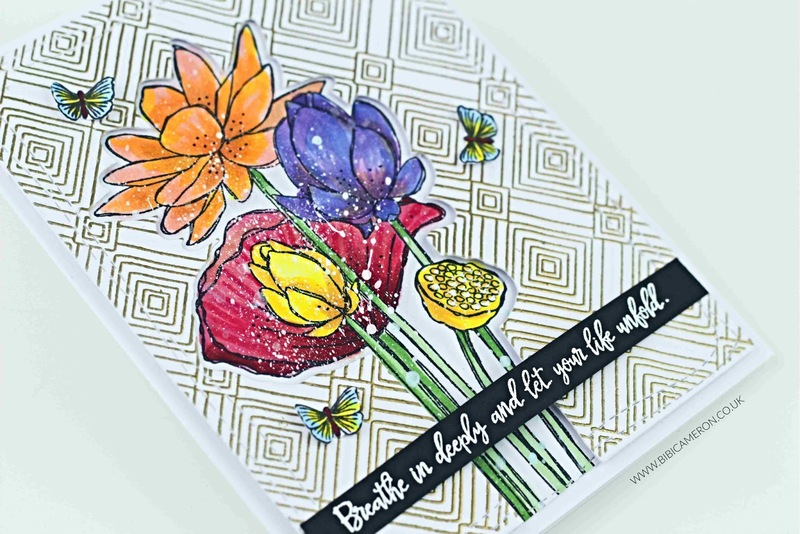 I stamped the image on smooth white cardstock 300 grams, using Memento black ink and I applied colours using Copic Ciao Markers. 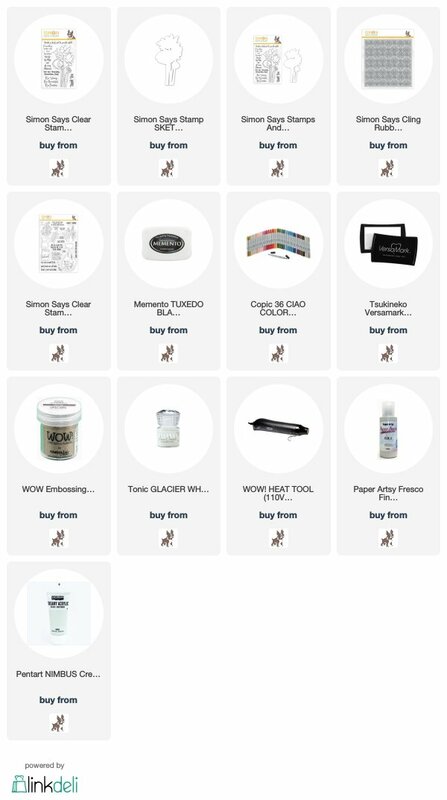 I then splattered the image with white acrylic paint and I heat emboss one of the sentiments from the stamp set on black cardstock to create a decorative banner. To get super sharp heat embossed sentiment on the banner I sued Nuvo fine detail Glazier White embossing powder. 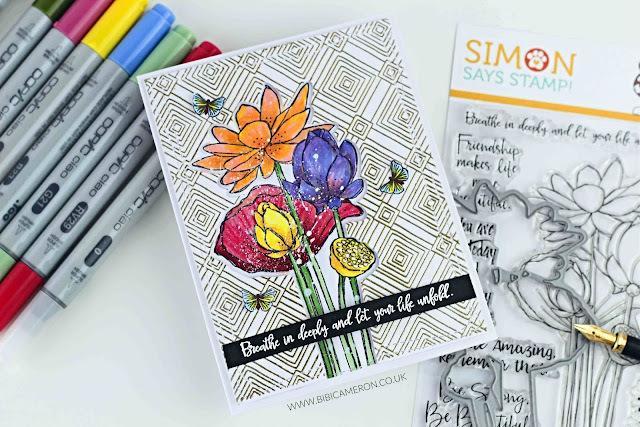 I have to admit that I have an addiction to Deco Diamonds background stamp and today I heat embossed the gorgeous geometrical pattern using gold-rich WOW embossing powder I die cut the panel using Wonky Rectangles and then I die cut the panel again using the Lotus Flower Die. So I created a shaped frame or window to place behind the coloured lotus flowers. I used foam dimensional pads to give a little bit of dimension. This is so pretty! Loving the flowers along with those little butterflies!